The Institute of Electrical and Electronics Engineers (IEEE) Product Safety Engineering Society (PSES) is a society of the IEEE created June 21, 2003. It’s Mission is to serve the product safety and regulatory profession and the public, by fostering the development and facilitation of the exchange of knowledge in the disciplines of product safety and compliance engineering (PS&CE), as detailed in the PSES’s field of interest (FOI), and promote scientific, literary, educational and professional aspects thereof, that benefit members, the profession and humanity. The IEEE Product Safety Engineering Society (PSES) targets design professionals and design engineers interested in electrical product safety. It provides engineers and other technical professionals an opportunity to discuss and disseminate technical information, to enhance professional skills, and to provide outreach to engineers, students and others with an interest in the field. John Allen is currently Acting President of PSES after numerous years of active participation within the society. John brings a wealth of experience to the position and is excited to help grow both membership and interest in the Compliance Engineering field. 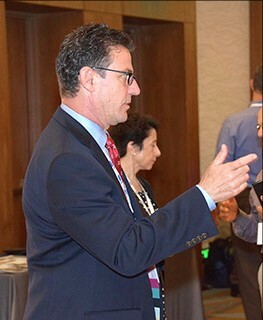 John has been a driving force in establishing and improving the Compliance 101 Track, held annually at the ISPCE Symposium. ISPCE is the only Symposium designed specifically for compliance engineers. If you’re involved with UL, CSA, Intertek, CCC, CE or any product Certifications you need to attend. The PSES is excited to report that John has agreed to lead the society as its President through 2018. He will make a great ambassador for IEEE in general and for PSES in particular. The Compliance 101 Track covers a wide range of topics, providing high level discussions, tips and trade secrets on how to do compliance from some of the best compliance engineers in our industry. If you’re new to compliance or a designer that deals with Certifications, you don’t want to miss this opportunity. The IEEE PSES is a product safety and compliance organization helping compliance engineers hone their skills and keep them up to date on the latest in our industry. This 2017 ISPCE Symposium will be in San Jose, CA on May 8-10. Click here for more information and registration instructions.